Woosh Airport Extras is owned by the brand APH, an award-winning car parking provider who partner with many leading hotel and parking companies such as Hilton, Ramada, Holiday Inn, the Marriott, NCP and Meteor. Book online at Woosh Airport Extras and discover hotels and parking packages at airports like Luton, Birmingham, Gatwick, Manchester, Stansted and Heathrow. As well as all this you can also discover loads of handy extras like parking options, information on the distance to airports, maps, directions and of course loads of photographs and details about the hotels that are available. Woosh Airport Extras also provide a fantastic special offers section on their website where you can find loads of great deals on parking, hotels and packages at airports up and down the country. To stay up to date on all the latest deals available in this section make sure you sign up for the newsletter to be notified first. If you’re looking for a great deal on your airport hotels and airport parking then check out the packages available at Woosh Airport Extras. Choose from park and ride, meet and greet, meet and greet flex, long stay and valet parking at terminals of your choosing at airports all around the UK. Select your preferred airport and hotel company whether that be Ibis, Holiday Inn, Holiday Inn Express, Novotel, Sheraton, Crowne Plaza or the Arora and discover affordable prices on your stay. You can also read reviews on all the hotels available and select airport parking in a place that’s suitable for your needs. If you’re flying from Manchester Airport on your next holiday you can gain access to great hotel and parking packages at Woosh Airport Extras. There are plenty of both long and short stay parking facilities at Manchester Airport at all three terminals, including onsite and offsite parking, shuttle parking, “meet and greet” and VIP valet parking. There’s also a Radisson Blu Hotel available right next to Manchester Airport that’s easily accessible via the Skylink, where you can also access the railway station, travelators and airport terminals. Other hotels near Manchester Airport also include Holiday Inn Express, Britannia Hotels, The Best Western, the Hilton and the Crowne Plaza. Find hotel stays from just £55 a night as well as map views and reviews for every hotel and airport car park. How can I contact Woosh Airport Extras? How do I get a copy of my confirmation? Confirmations will be emailed automatically to the address provided upon booking. If you do not receive one or require an additional copy, please check your junk/spam folders. You can amend your dates, times, vehicle registration and details or passenger information using the manage my booking service here. You can also cancel your booking 2 days before you travel. Established in 2012, Woosh Airport Extras quickly became one of the UK's leading airport hotel booking agents who also partner with and operate car parks at Gatwick, Manchester, Birmingham, Stansted, Luton and Heathrow airport. 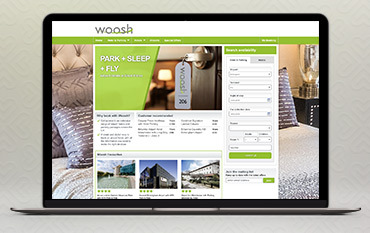 Woosh offers an extensive range of airport hotels and hotel and parking packages across the UK to help the independent traveller enjoy a hassle-free start to their holiday. They also provide customers with an easy and hassle-free way to book an airport hotel and have all the information any traveller needs to make their decision. Book your airport parking and hotel stay today and make sure you use a Woosh discount code from us to save money on your travel costs. We are constantly on the hunt for Voucher Codes for Woosh Airport Extras to help you with your money saving. Our experts check dozens of sites for secret codes including NHS discounts, student sites & social media channels saving you time & money!